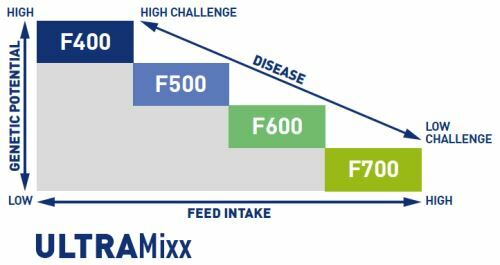 The ULTRA Pig Finisher range has been designed to meet the genetic potential of the pigs in each specific unit and to take into account the effect of appetite, disease challenge and environmental conditions in order to optimise overall performance. Can be fed as a first stage finisher diet from 40-70kg or as a second stage finisher diet from 70kg to finish. The ULTRA Finisher diets are also available as concentrates and bespoke premixes which apply the unique range of nutritional innovations incorporated in the compound feed diets.